After work on Friday, I headed out to Fabric Depot to buy some interlock for a class project and to also check out yarns. I decided to go ahead with the striped sweater from Rebecca 34. I wanted to make a red and white striped sweater, but couldn't find a red that I liked. They were all too bright. So I opted for this Elsebeth Lavold ClassicAL in slate grey and ecru. 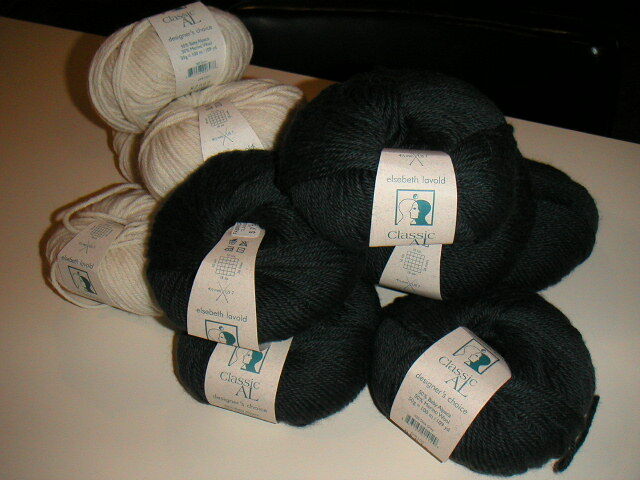 This yarn is a blend of baby alpaca and merino wool and, so far, it feels great to knit. red would have been jaunty but i like this color just as much! i just finished up a man's vest using ClassicAl. 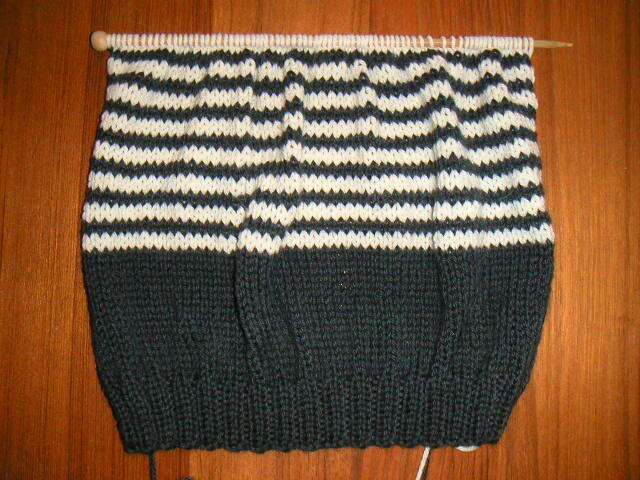 I liked it as far as knitting it up, but the gauge definitely seemed to grow.